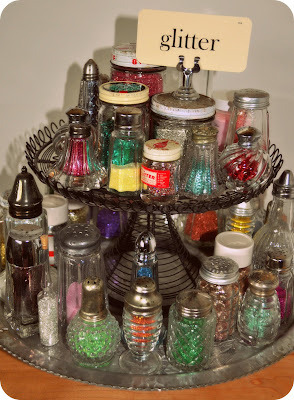 I don't know about you guys, but this gorgeous display of glitter in vintage salt & pepper shakers looks a lot better to me than my little glitter drawer. but I am not sure who it belongs to! Both blogs are in my Google reader!